A lot of people asking about the ALD sequel and when it’s coming out. I thought I’d give you some insight into my editing process. I usually write a first draft in about 2-3 months. Following that is a good six months to a year of edits. I don’t actually print anything out until maybe 8 or 9 drafts in. That’s usually when I pull out my red pen on the train and start marking stuff up. The pages usually end up looking like this. As you can see, it still has a ways to go, but at least it’s made it off the screen and onto paper. 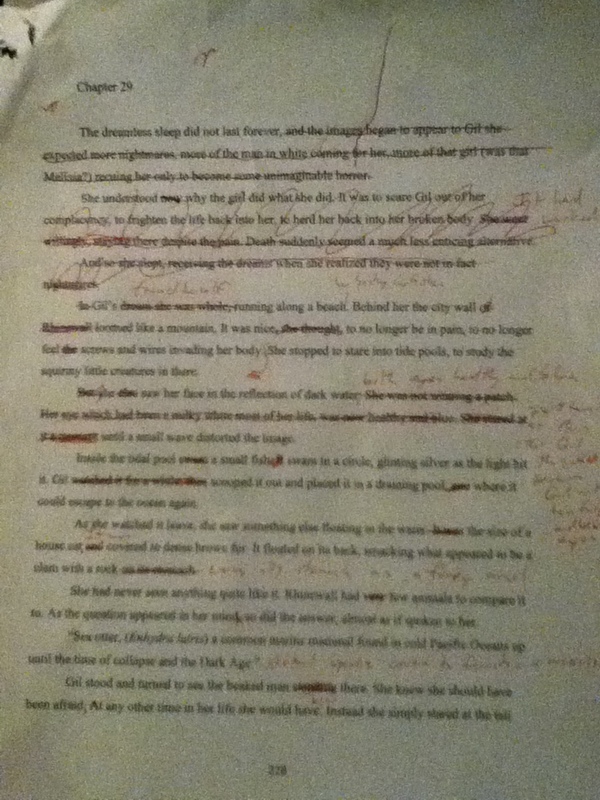 This entry was posted in Novel stuff and tagged A Latent Dark, editing, novel, process, status. Bookmark the permalink.